Breaking news yesterday! Kale the fabulous super food has been added to a list of shame. Yes, the dirty dozen list of foods with pesticides. Do people really choose which foods to eat based on a celebrity sweatshirt? 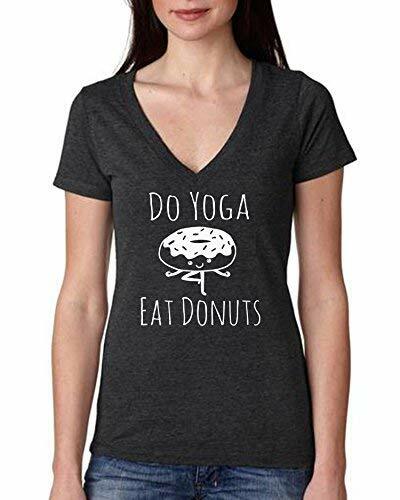 I can see being influenced if the sweatshirt sported a picture of a luscious donut, but for me–never kale! Our minds are shockingly easy to program. We see or hear something often enough and without realizing, we gravitate toward it. Just this week I found myself being subliminally programmed by my husband. He enjoys painting ocean (sea) scapes and has been working on perfecting his wave spray. Instructional You Tube videos have been white noise in the house for several days and I have viewed several versions of the painting he is working on. I tell him it looks great and he paints over it. Go figure! Anyway, back on point, on Monday I chose verses from Philippians 2 for the Facebook post I create for our church. After I posted it, I realized why I chose that particular photo. I am hoping the husband doesn’t figure out how easily I can be programmed! Back to the kale. A big shout out to whomever developed the eat more kale marketing plan. it was brilliant. I wonder if the same person is running the current eat more cauliflower campaign or more likely, they are lolling on a sunny beach somewhere, drinking adult beverages and laughing. After we left Lovelock, we went back to Canon City for a few years until Ivan got the gas plant properly staffed. Jobs were scarce, but he applied for one at the tomato factory in Crowley, Colorado and got it. We drove to Crowley, where Dad was to repair and keep the machinery running. By this time I was five years old and my brother David was two and a half. The house we lived in was called a shotgun house. It had four rooms. The name came from the idea that a person with a shotgun could shoot a bullet into the opened front end and it would come straight out the back end. Each room was twelve feet square with high ceilings for the sake of ventilation, and we had windows that opened and closed all the way down the sides of the house. Mother was still cooking on a coal stove, but in Crowley,she had a job cooking a hearty noon meal for the factory workers – mostly men. Now that I know the dimensions of the house, I’m not sure where she actually put them all. Perhaps someone came with a farm truck to pick up the food and take it back to the factory, maybe it was Ivan. Maybe he paused for a good-bye kiss from the lips of his beloved wife as he went out the door. When she wasn’t cooking, cleaning or hanging out clothes to dry, Dora liked to gather her gang and walk over a narrow berm to the factory. Her little group consisted of David, who got a piggy-back ride, little daughter who walked behind her on the high berm, the dog, the Nanny goat, and after her, Billy, her kid. The rooster, Chanticleer brought up the rear. Along the way,Mother watched in surprise as Billy Goat click-clacked across window panes covering the young plants without breaking a single pane. When I was a baby I fainted and she took me to the doctor. The Doctor said I wasn’t getting enough nourishment from breast feedings o Mother put me on goat’s milk. In Crowley even when I was five she gave me a dented tin-cup full of warm milk and sat me on the wooden step out front. Later when I met a milkshake it reminded me of the goat’s milk. I still like it better than cow’s milk and I believe it is better for me too. I’m fascinated with the fact that it is naturally homogenized. Each day of the season, Mother gave me a salt shaker and a red tomato right off the vine. The juice ran down my chin as I thoroughly enjoyed the salted tomato of the day. I’ve never tasted one as good since. After I finished she washed my face and put me in clean pajamas. Every year, Dora made new pajamas for both children on the Singer electric sewing machine she inherited from her grandmother. Later, I made clothing for my children on it. It’s there in my living now and I never knew before how heavy it is to lift out of itscradle. Mother was a great storyteller and once she had us cleaned up and in our new jammies she sat on the bed and told us made-up stories until we went to sleep. I’m so grateful that she was a story-teller and that she kept a record of her life on scraps of paper which I inherited from her. I went to kindergarten at Crowley School. There, for the first time, I met a girl with skin darker than mine. She may have been Native American or Mexican, and she might be considered my first best friend, yet she never came to my house and I never went to hers. Our sojourn in Crowley ended during World War II when Ivan was called up and assigned to the infantry. In his letters home, he tells about his rise to sharp-shooter and how happy that made him. I guess he got lots more practice in the Battle of the Bulge. Our last supper in the shotgun house was chicken and noodles. That was usually my favorite supper, but when I found out we were eating Chanticleer the rooster, I gave up on chicken for a longtime. I don’t know what happened to the dog and the goats, but Daddy probably had to sell them or give them away. Grandmother’s apartment house and corner lot had room for family, but not for the family’s menagerie. Funny how things – memories – pop into my mind. Something in this day and time will trigger a memory from years ago. Right after Fred and I married, we moved to Fort Worth, Texas, for Fred to attend the Southwestern Baptist Theological Seminary, intending for him to make his life vocation in Baptist work. A friend of my family’s was a professor at the Seminary at the time. On a visit to Albuquerque some time before, he had convinced Fred that Southwestern was the best Seminary for him to attend (Fred had thought to go to Golden Gate Seminary in California). Therefore, we contacted him and his wife shortly after we arrived in Fort Worth, and they took us on a tour of the city. He was a product of New Mexico and she was a lovely Georgia Peach. I don’t remember how they met, but they were a delightful couple. I must tell you that he had been nearly doubled over with juvenile rheumatoid arthritis in his youth, and walked with two canes. My Mother had been his Sunday School teacher and had seen him with the canes. He had been a guinea pig for Cortizone treatment, and was walking upright by the time he met his wife. His wife had never seen him doubled over. That isn’t necessary information for this story, but I think it is interesting. In any case, he told us a story about one day when he asked his wife if she would cook a pot of beans and cornbread for supper that evening and she agreed, saying that sounded so good to her. He said he called her throughout the day, and each time she would tell him how wonderful the entire house smelled with the cooking beans. His mouth was watering, anticipating those pinto beans he had grown up eating. and her Southern background pictured a pot of green beans with ham hocks! And that’s what she had cooked! He ate the green beans, but was sorely disappointed that he didn’t get those pinto beans he had been looking forward to all day! I don’t remember whether or not she ever learned to make a pot of pinto beans. I just always get a chuckle out of that story, whenever I think of it. Regardless of the religion or philosophy, one premise seems to be consistent: You receive what you give. As an opinionated person, I find it hard to only speak words of peace. I’m not fond of the “every thing is beautiful and perfect” people, because that simply is not real. Life is raw. I do tend to be one of those people who comes up with explanations for why someone acted poorly or unwisely, to see from their perspective and I have found that can be annoying to others. So what is a person, me, supposed to do? Examine my heart. As I seek peace does my life reflect it? Love: Love in both thoughts and actions is a path to peace. Joy: Don’t become weary, but remain in joy. Peace: Peace comes by not giving up on giving. Well, I’ve given it 4 days and have come to the definitive conclusion, I DON’T like Daylight Savings Time. In fact, as far as I am concerned, the science is settled. My friend DiVoran emailed me this cartoon. I loved it. I need dusk and nightfall to alert me that the day is ending. Encroaching shadows nudge me to begin preparing supper and full nightfall signals the end of my day. Fans of DST claim that it gives them more daylight to mow the grass, do other chores or have fun outdoors. That’s great, but once night arrives, you are beat and bedtime looms without the benefit of chill out time. Since the country does not revolve around me, I guess I will concede to DST with as much grace as I can muster, and enjoy the bright side. Morning daylight won’t disturb my last chance of sweet dreams before the alarm starts my day.